The Italian Cinema Hindi team was able to interact with Anupam Kher, one of India's most prolific and successful actors, who recently participated in a chat organized by Bollywood Hungama for the promotion of 'Apartment'. CH- What made you fond of Tanha, the character you interpret in 'Apartment'? AK - Tanha is a struggling lyricist who reminded of my struggling days. CH- How did you feel acting as the Principal again in 'Koochie Koochie Hota Hai'? CH- Please update us on your upcoming projects. AK- My next releases will be 'Badmaash Company', 'Hawaai Dada', 'Mr Bhatti on Chutti'. CH- After so many successful films, what would you say motivates you to choose a certain role? AK- The hunger in me as an actor and as a person to explore various possibilities of human emotions. CH- 'A Wednesday!' was recently screened in Rome, Italy and was a huge success. How about making more Indian films in Italy? AK- I would love to shoot in your lovely country. CH- 'Apartment' is a thriller, however what type of films do you personally enjoy watching? AK- I mainly enjoy watching human drama. 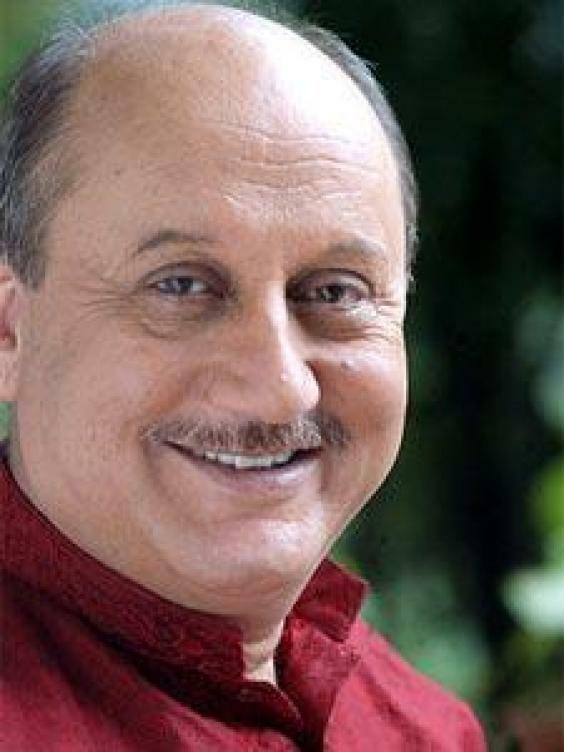 The complete interaction between Anupam Kher and his fans shall be published by Bollywood Hungama in the near future.